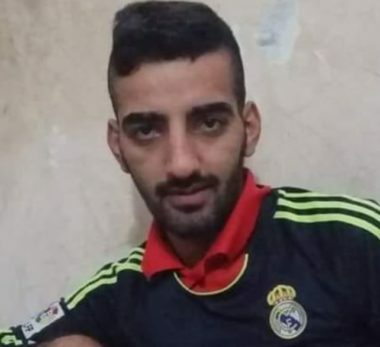 Dozens of Israeli soldiers invaded, on Tuesday at dawn, Tulkarem refugee camp, and Tulkarem city, in northern West Bank, killed a mentally disabled Palestinian, and injured several others. Media sources said the soldiers killed Mohammad Husam Abdul-Latif Habali, 22, from Tulkarem city, and injured another young man, after shooting them with live fire. They added that the soldiers shot Mohammad, who was mentally disabled, from a very close range, and that he died almost instantly, from gunshot wounds to his head and limbs. The soldiers also injured several Palestinians with rubber-coated steel bullets, and caused many others to suffer the effects of teargas inhalation. It is worth mentioning that dozens of soldiers, many of them in jeeps and others on foot, invaded several neighborhoods in the refugee camp, and Tulkarem city, especially in the Western Neighborhood, and fired dozens of live rounds and gas bombs, during ensuing protests. The soldiers invaded and ransacked many homes, causing excessive damage, and interrogated several Palestinians while inspecting their ID cards.